A thirsty pride. 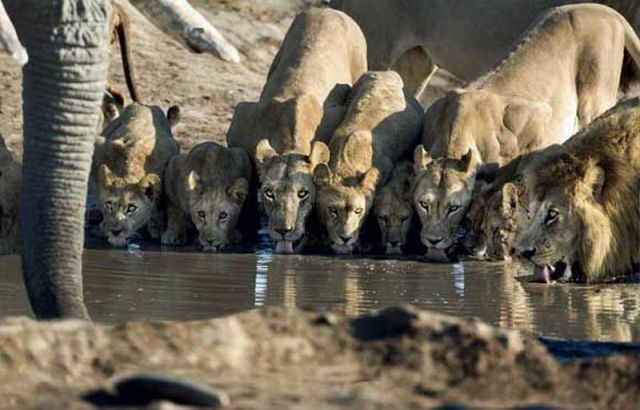 notice how cautious and watchful all the lions are, despite their terrible power and numbers: they're still cats. All of them are keeping an eye on the elephant, just in case.